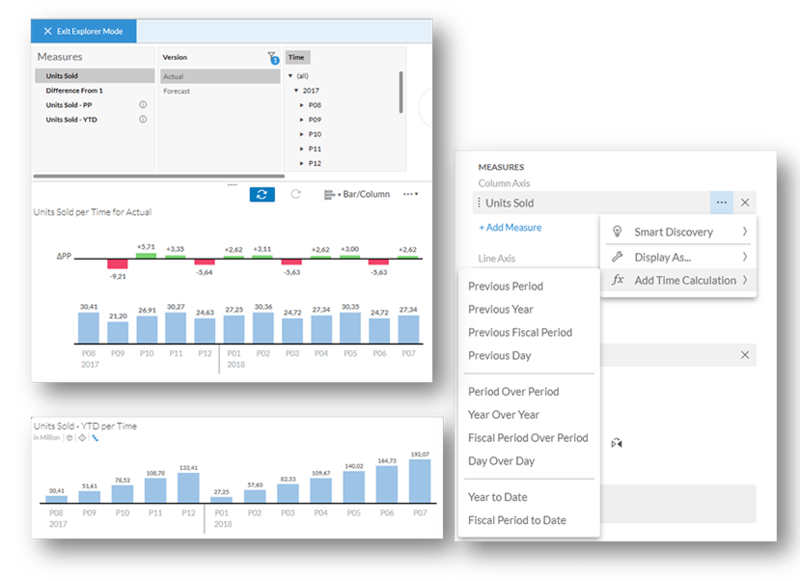 This blog covers some of the latest new features and enhancements in SAP Analytics Cloud* and SAP Digital Boardroom release 2017.22. Please note that the Analytics Cloud Help documentation is updated at the same time as the upgrade to this release, so the links here may not yet reflect what is described below until after the upgrade is complete. When setting options for the time dimension in a model, you can now specify the default hierarchy that the time dimension will display in story tiles and filters. 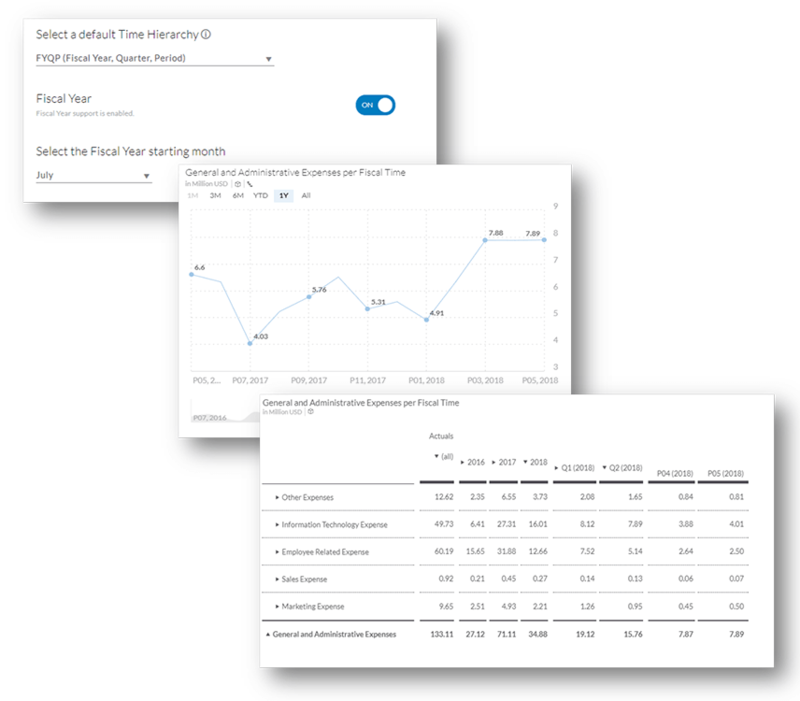 You can now configure the time dimension for a model to use a fiscal year starting in the month of your choice, instead of the calendar year. 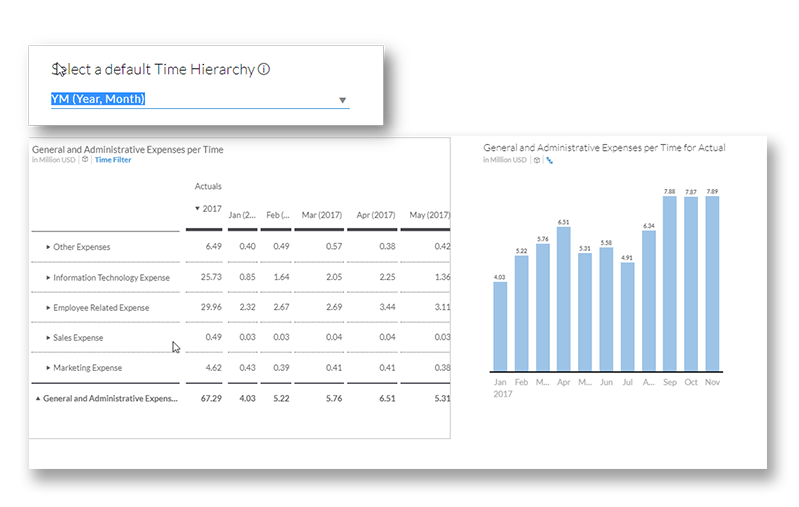 Charts, tables, value driver trees, and filters based on the model will display the time dimension based on your fiscal year configuration. Time-based calculations performed on the fiscal year hierarchy will use fiscal time as boundaries. You can filter across models even if they do not have the same fiscal time offset. In this case, the filtering is done based on the calendar time. Blending on models with fiscal time is done based on the period name, so use caution if the models have a different fiscal period offset. 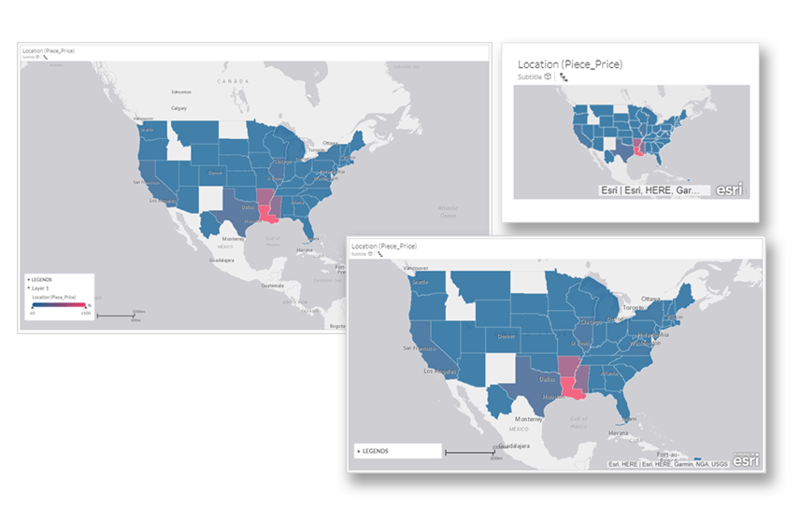 With this release, we’ve revamped the experience of importing data – now, you can use the card view to more easily map your uploaded data to an existing model. Models are now represented as cards. Dimensions with attributes are now displayed in stacks – simply double-click a dimension to reveal a “drawer” with all its attributes expanded. 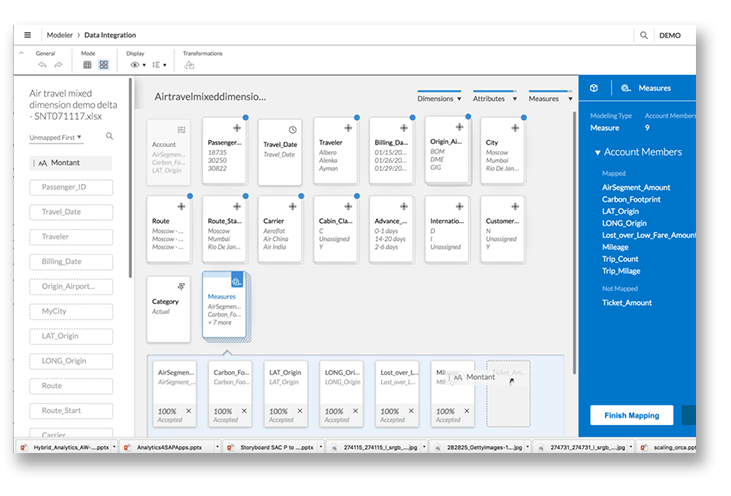 An advantage of this new card view is you can now use drag-and-drop functionality to move unmapped source columns into the target model entity, and you can sort the list of source objects to see what is still unmapped. Any errors are highlighted immediately to help you quickly identify and make corrections. 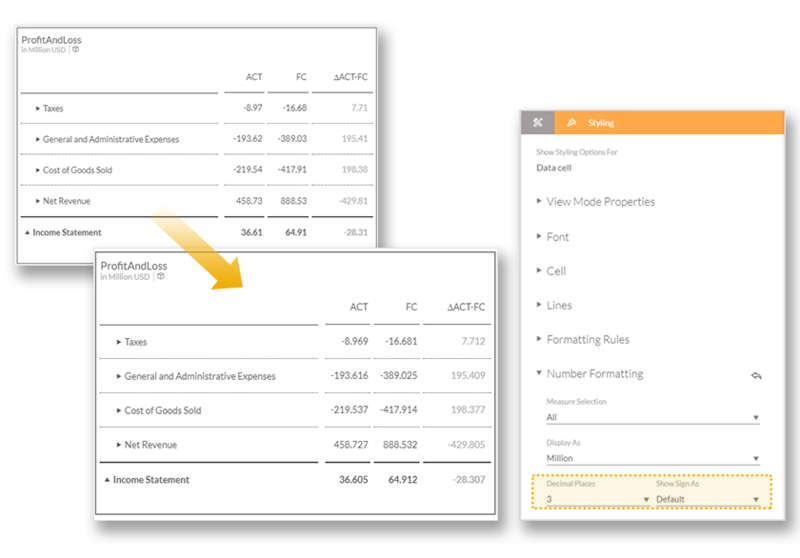 You can now show or hide columns of the source data when creating a model or importing data. You can easily hide selected columns via the quick action menu. 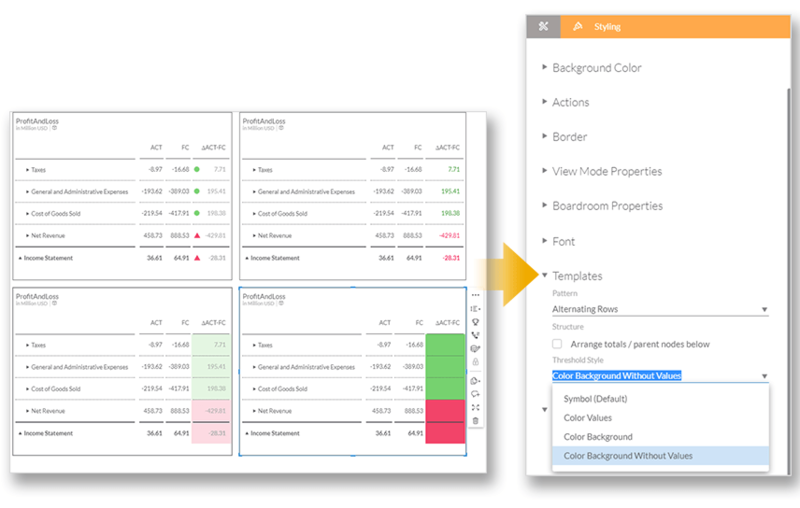 A new panel is available to help you see and manage columns that are hidden. 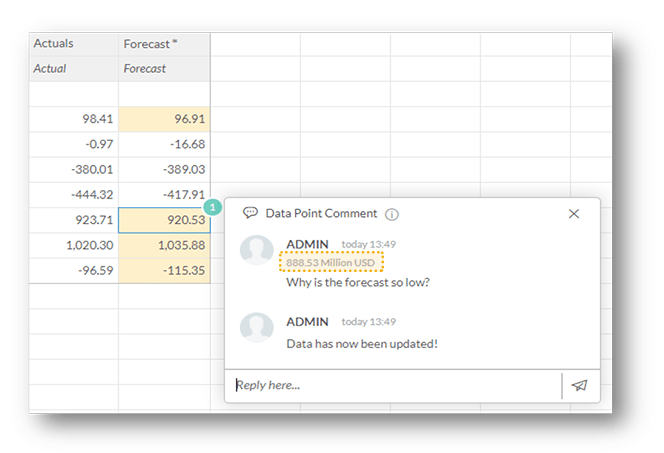 When you add a comment on a data point, the comment now includes the original value if the data is updated in the cell – this now makes it easy for you and others to see what has changed. 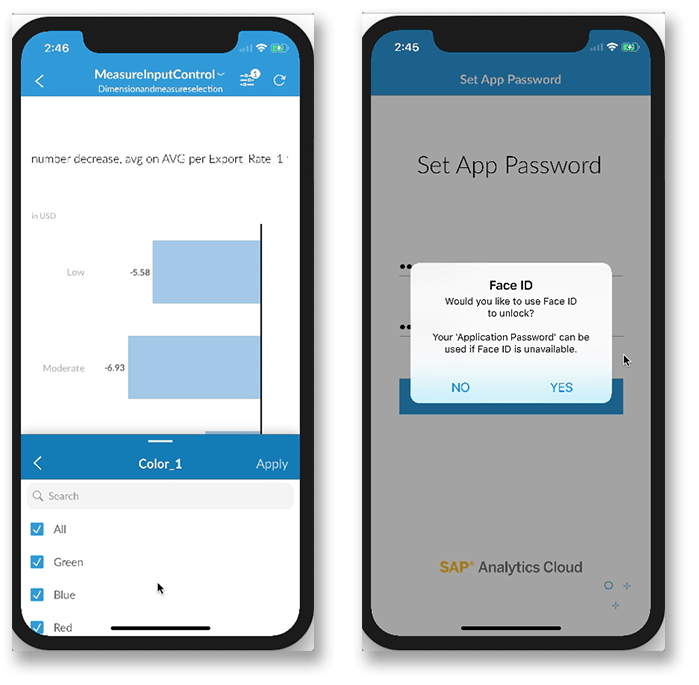 The layout of the SAP Analytics Cloud mobile app now adapts to the edge-to-edge display of the iPhone X. 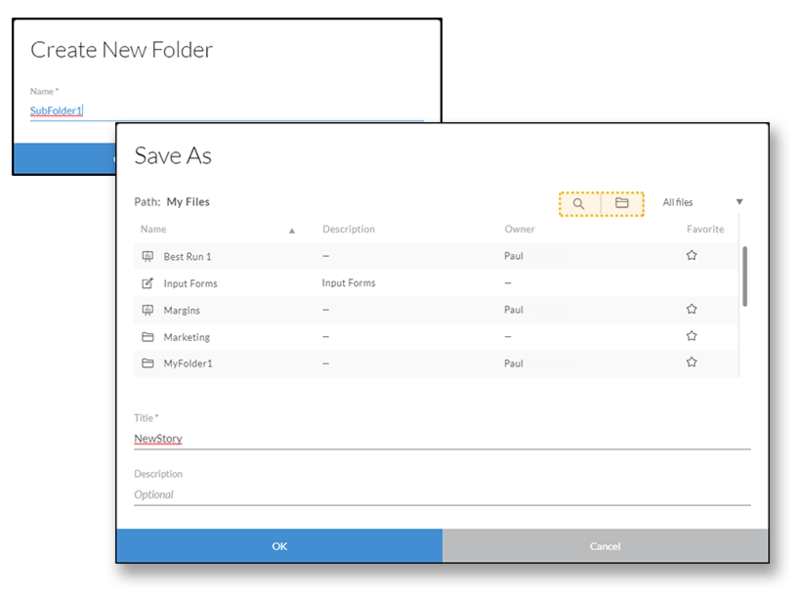 You can now create folders in the Save / Save As dialog when saving a story or a Digital Boardroom. By default, folders will be directly created under “My Files”. If you create folders within an existing folder (i.e. a public folder, team folder, or any other folder that is already shared), it will inherit the same security settings of its parent folder. You can also search to locate a specific subfolder to save into, or a specific story or boardroom to overwrite. 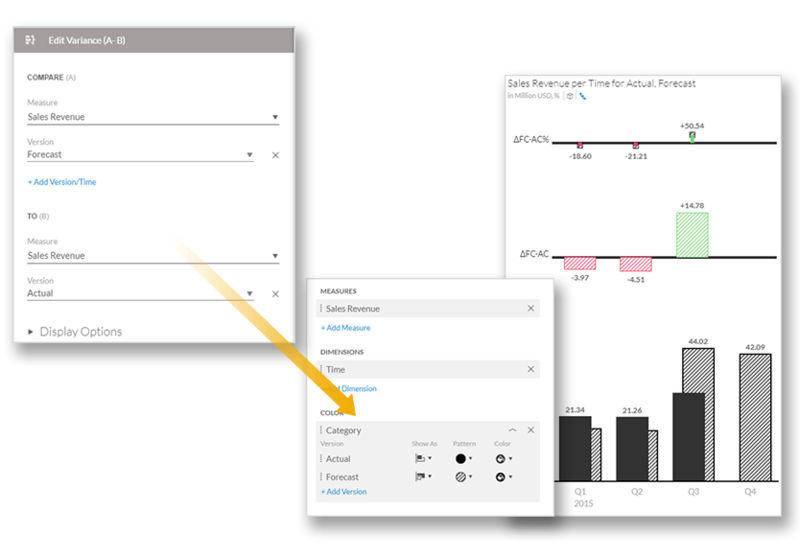 In release 2017.14, we introduced in-cell charts so that you can embed bar/column charts in your table cells. We’ve expanded on this capability so that you can now also include variance bar charts and variance pins (for % variance) in table cells. Plus and minus (+/-) signs in data labels are also supported. 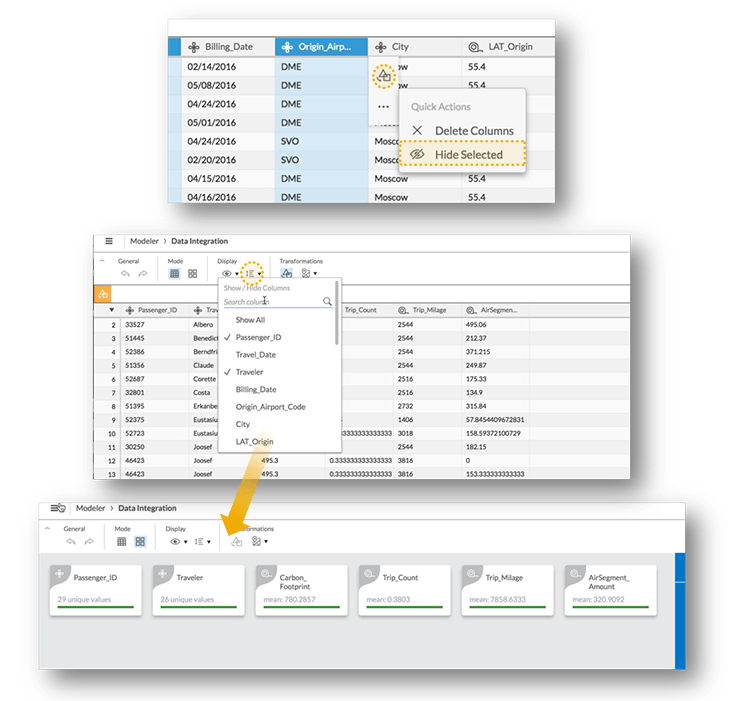 Version patterns can now be used in variance bars and pins, in accordance with IBCS (International Business Communication Standards) standards. For a forecast-actual variance, the forecast pattern is shown in the bar or pin and the actual pattern is shown in the variance axis. Version patterns will now be preserved when you apply thresholds on a chart. You can use the legend to quickly distinguish between patterns. 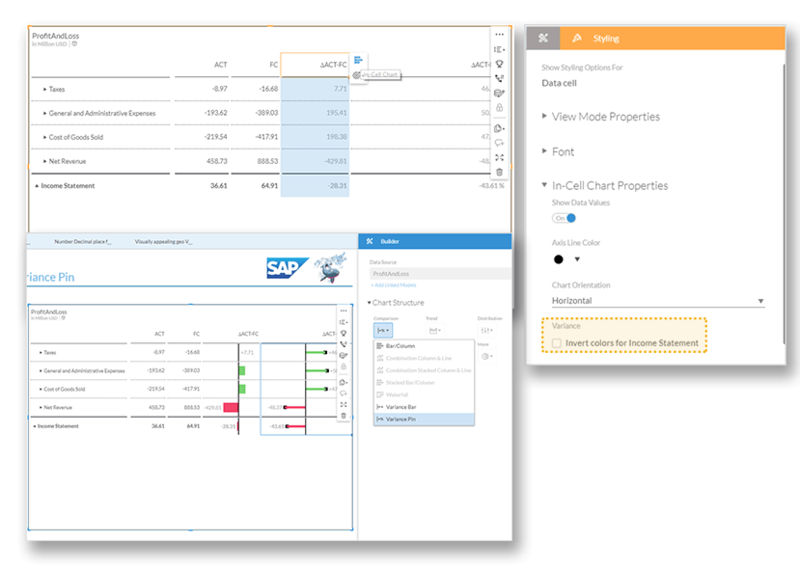 In this release, you now have better control over the display of threshold values and cells in a table. Symbols, font colors, and cell background colors can now be used to indicate thresholds. Threshold styles can be saved as story preferences. You can now specify the number of decimal places used for measures and calculations in tables. Automatic hiding of legends once a map becomes smaller than the optimal size. Automatic hiding of interactive navigation options (e.g. zoom) when the geo map is not selected/in focus.